If the results of this comparative evaluation method suggest that the overall benefits associated with a proposed action outweigh the incurred costs, then a business or project manager will most likely choose to follow through with the implementation. The first step is to identify and quantify all costs associated with a proposed action. In order to successfully identify all potential costs of a project, one must follow the subsequent steps. Make a list of all monetary costs that will be incurred upon implementation and throughout the life of the project. These include start-up fees, licenses, production materials, payroll expenses, user acceptance processes, training, and travel expenses, among others. Make a list of all non-monetary costs that are likely to be absorbed. These include time, lost production on other tasks, imperfect processes, potential risks, market saturation or penetration uncertainties, and influences on one’s reputation. Assign monetary values to the costs identified in steps one and two. To ensure equality across time, monetary values are stated in present value terms. If realistic cost values cannot be readily evaluated, consult with market trends and industry surveys for comparable implementation costs in similar businesses. Add all anticipated costs together to get a total costs value. The next step is to identify and quantify all benefits anticipated as a result of successful implementation of the proposed action. To do so, complete the following steps. Make a list of all monetary benefits that will be experienced upon implementation and thereafter. These benefits include direct profits from products and/or services, increased contributions from investors, decreased production costs due to improved and standardized processes, and increased production capabilities, among others. Make a list of all non-monetary benefits that one is likely to experience. These include decreased production times, increased reliability and durability, greater customer base, greater market saturation, greater customer satisfaction, and improved company or project reputation, among others. Assign monetary values to the benefits identified in steps one and two. Be sure to state these monetary values in present value terms as well. Add all anticipated benefits together to get a total benefits value. The final step when creating a cost benefit analysis is to weigh the costs and benefits to determine if the proposed action is worthwhile. To properly do so, follow the subsequent steps. Compare the total costs and total benefits values. If the total costs are much greater than the total benefits, one can conclude that the project is not a worthwhile investment of company time and resources. If total costs and total benefits are roughly equal to one another, it is best to reevaluate the costs and benefits identified and revise the cost benefit analysis. Often times, items are missed or incorrectly quantified, which are common errors in a cost benefit analysis. If the total benefits are much greater than the total costs, one can conclude that the proposed action is potentially a worthwhile investment and should be further evaluated as a realistic opportunity. 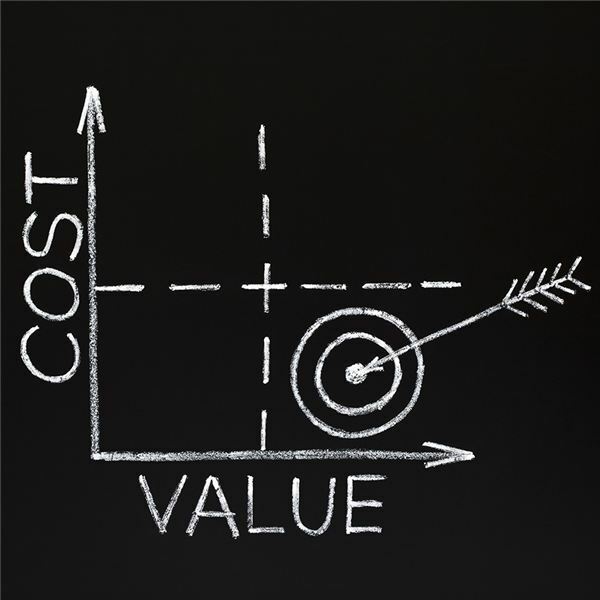 Performing a cost benefit analysis is a valuable way to weigh the pros and cons of implementing a proposed action. A cost benefit analysis that has thoroughly identified and realistically quantified all costs and benefits is an accurate way to determine whether an opportunity is worth a company’s time and energy. Download a free Cost Benefit Analysis template here.